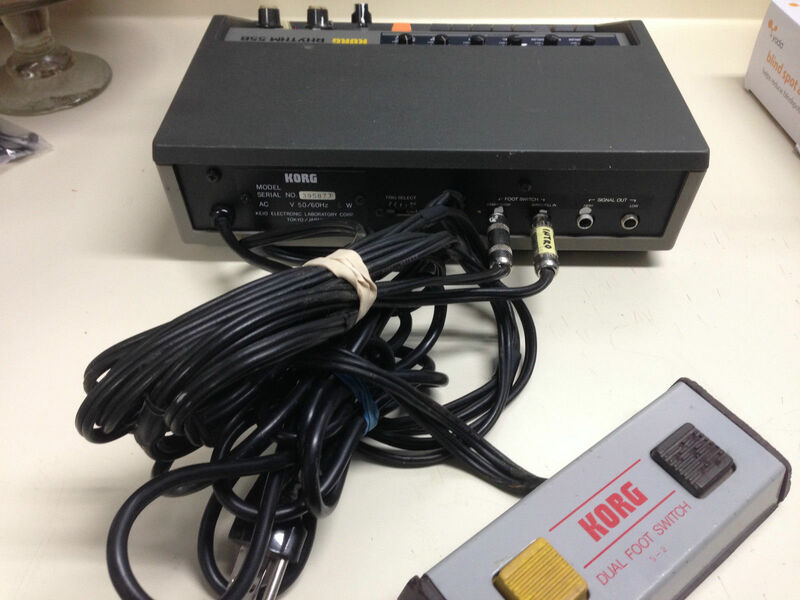 "The KR55 was, for its time (1979), an advanced preset rhythm drum machine with up to 96 preset rhythm patterns! These patterns cover the whole gamut of presets (Waltz, Samba, Rhumba, Bossa Nova, Tango, Slow Rock, Swing, Rock, etc.). The KR55 also featured a "swing beat" control to add a variation to the groove. Each drum sound's level can be individually adjusted for each pattern. It can also be externally controlled via footswitch jack for the Start/Stop and Intro/Fill switches. 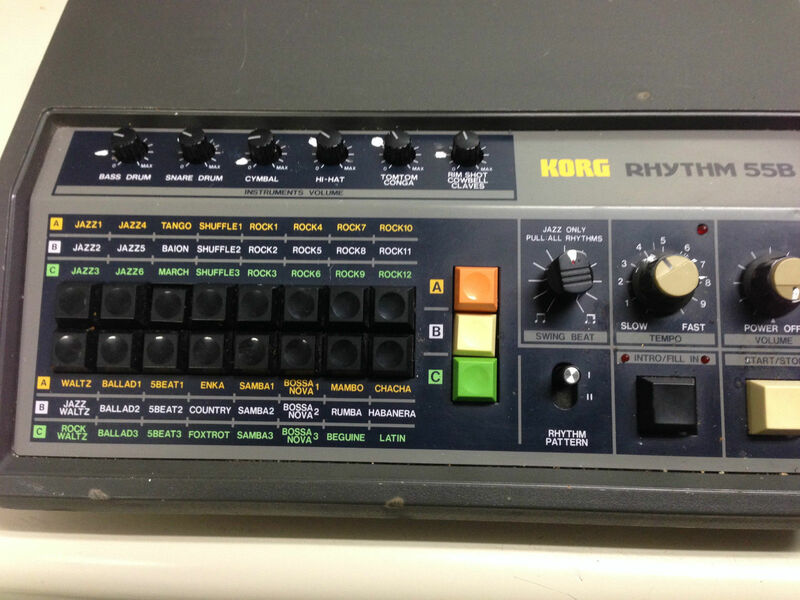 The KR55B was a black-chassis version released a few years later in 1982 with twice as many rhythm patterns. Comes with pedal!!!"